Can't decide on a scent? 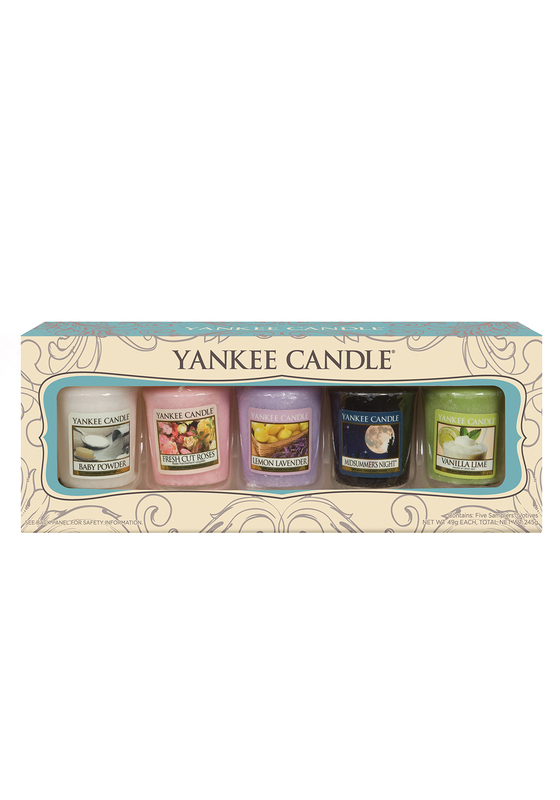 This Yankee Candle Gift Set contains 5 Sampler Votive Candles - presented in this stylish Yankee Candle branded gift box providing up to 15 hours in an appropriate holder. Contains 5 Samplers Votives in fragrances Baby Powder, Fresh Cut Roses, Lemon Lavender, Midsummers Night and Vanilla Lime.